My YouTube Channel Is Now Ready For 4K! If I'm honest, I don't really know how much this matters to most people, but I like to play with the latest tech, so for a while now I've had my sights set on upgrading my YouTube channel to 4K video. For this I initially though I simply need two things. A 4K Compact Camera (for the close up shots of the gadgets) and a 4K Webcam (for the footage of me). 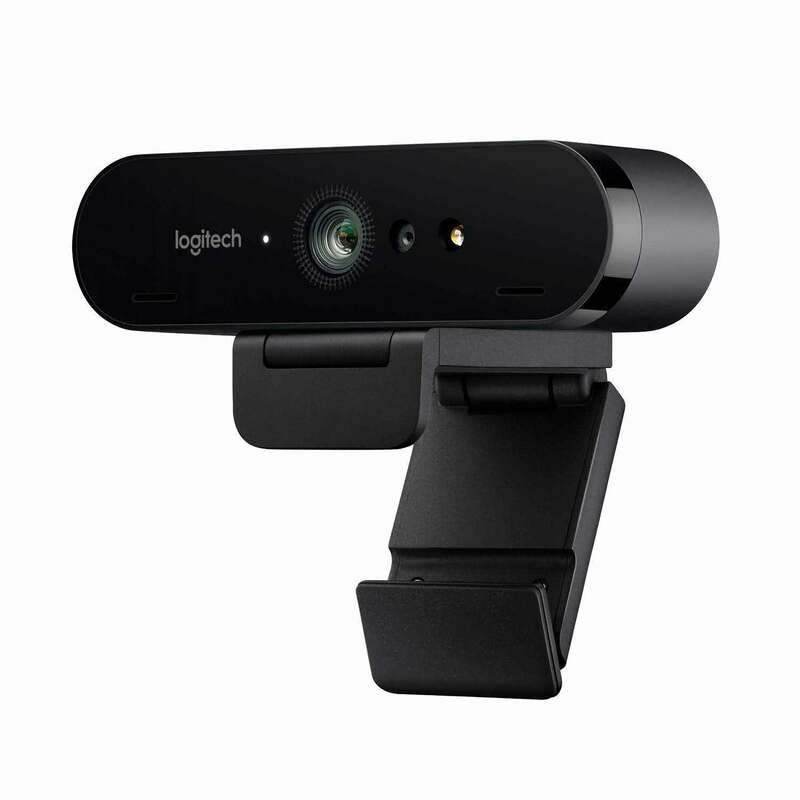 So, I had my eye on the Logitech Brio 4K Webcam on Amazon. Annoyingly I missed it on Prime day, but it was reduced for Black Friday and I got it for £110. I don't really visit Kickstarter or Indiegogo very often, I don't think I should, mainly because I don't fully understand them. They're not a shop, right? I'm sure people much smarter than me have lost money on projects in the past, why would I risk it? 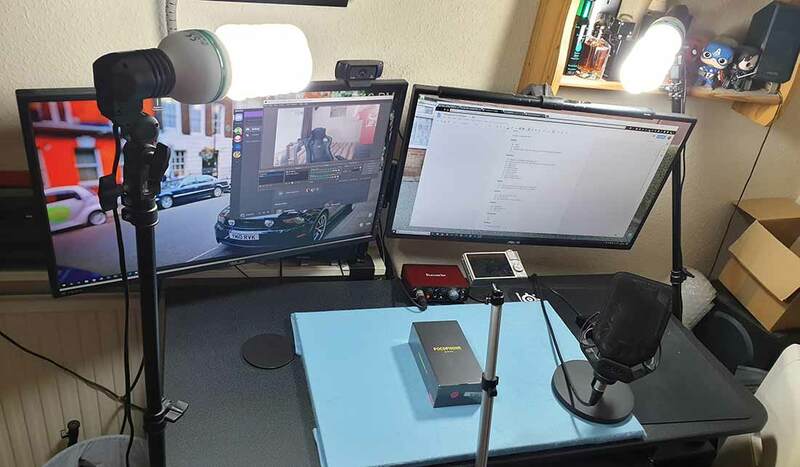 But, every now and then a product appears that pursuades me to take the risk and the TAIHE Gemini Portable 'On-the-go' Monitor is one of those projects. I was recently reminiscing about previously owned devices, all the way back to my first Android the HTC Hero. One device that stood out as a milestone in many ways was the Google Nexus One. I recell it's super fast processor, it's amazing design and it's multi coloured LED track ball. Full of excitement, I bought one on eBay! Click here to watch my video review of the Google Nexus One in 2018. I can't lie, I'm a bit of a sucker for a gimmick on a phone, so when I saw the Huawei Mate 20 Pro had reverse wireless charging, the ability to turn your phone into a wireless charging pad, I knew I had to give it a go. Yesterday I finished my video review of the Huawei Mate 20 Pro but I realised I'd not really tried reverse wireless charging. The review was already close to 30 minutes long, so I figured I had better deal with this separately. This morning I've been using it to charge my Pixel 3 XL and here are some of my findings. It's quite chunky at almost 30 minutes long, but there was a lot to discuss! Does the amazing hardware make up for the janky EMUI 9.0? Is the camera really that good? 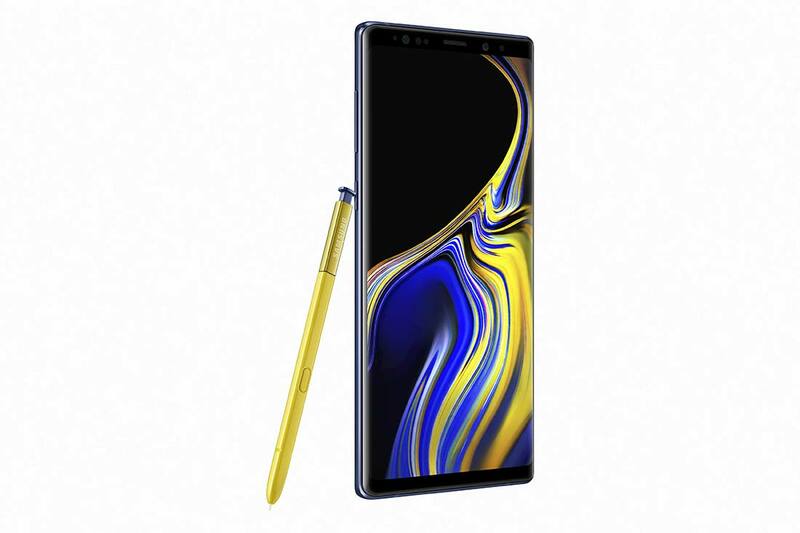 Does the massive 4,200mAh battery best the Samsung Galaxy Note 9 for lastability? Watch the review to find out! Samaung Galaxy Note 9, Google Pixel 3 XL or Huawei Mate 20 Pro. Which Should I Buy?! You might have notice, but I've been quite busy through September. Not only did I have a Note 9 and Pocophone F1 to review, but I came across many different gadgets such as the HyperX Cloud Flight Headset, a variety of CHOETECH accessories as well as my new Sony WH-1000XM3 wireless noise cancelling headphones. Throw in a few amazing apps and there was at least one video released every day of September! Infact, I think I counted 43 videos in total released last month. Busy! If you've not seen them yet, go check out my channel! I can't lie, I've been a big fan of the Note series since the Note 3. Funnily enough, I had the original Note but thought it was too big and ugly. Didn't even bother getting the Note 2. I have then loved the Note 3, 4 and 5. I had a Note 7 on order, but Carphone Warehouse mucked me about with my delivery date and I cancelled... just before they started bursting into flames. In a stroke of good timing, the Pixel XL came out and I bought that and followed it up with the Pixel 2 XL. This year, partly because of what I see from the Pixel 3 XL leaks I decided to go back to the Note 9 and see how they've progressed since the Note 5. I'm trying to make more of an effort with social media in general recently. I've posted a few times on Facebook in the last week, I've been putting some bits on Google+ and now I've signed up a specific account for AndroidAndyUK on Instagram! Be sure to follow me. 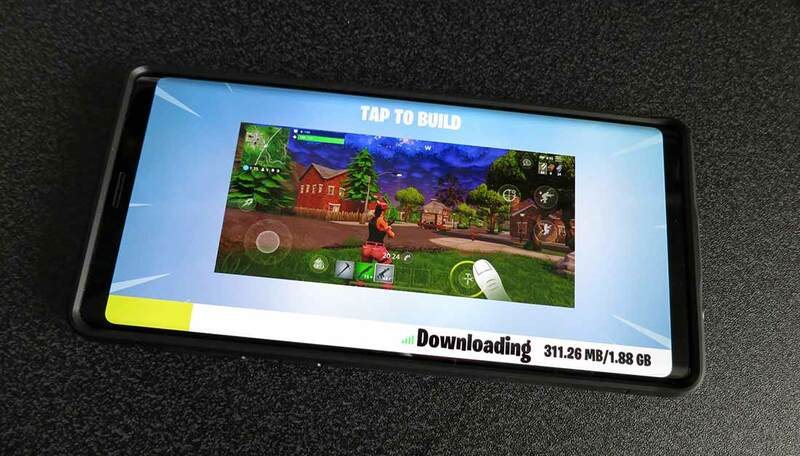 I've got a spare Slickwraps Skin, so thought I might as well give it away! Competition over, congratulations Chris B on winning! I've been using the Samsung Galaxy Note 9 for over a week now and I can honestly say I love it. Whilst it's one of the heaviest devices I've ever owned, it doesn't really feel bulky in the hand. The screen is huge, bright and vibrant, the stereo speakers are loud and clear even containing a little base, the camera is up their amongst the best and the battery is now a monster with enough power for me to go two days without charging. I thought I'd write a little something, just in case you've just emerged from a cave and hadn't seen the Pixel 3 XL leaks that have come from some Russian guy, who is apprently now trying to sell the Pixel 2 XL for around $2,000! I'm aware I've not posted much recently and now along comes loads of news in the same week. Let's start with a nice simple one, my thoughts on the Note 9 announcement. Althought my last two devices have been Pixels, I owned the Note 3, 4 and 5 with the Note 3 and Note 5 being two of my favourite devices I've ever used. I don't think I even used a Note 7 or 8 though and having seen some videos on the Note 9, I have to say I'm really tempted to move back to Samsung. It's been quite a big week for Google releasing new apps this week. It was only a few weeks ago they released a new (and improved?) Google News app, well this week we've been blessed with two more media consumption apps from the Big G.
The first I will mention is Google Podcasts. Previously Google would have us use Google Play Music for listening to our favourite podcasts, even then, it would only work if you're in the US. The rest of us had no options. Now, they've finally released a stand alone app for us to listen to our favourite podcasts on, like AndroidAndyUK (pictured to the right) for example! The first thing you notice is it's a nicely presented app with a neat and simple layout. At this point though, it's not just the layout that's simple, the app itself seems rather bare. You search for an app you want and then subscribe. There are features coming though. I don't know if it's official or I've just heard a rumour, but the hope is in the future it will transcribe all podcasts and you would be able to search for a particular discussion and jump right to it. Now that would be pretty cool! The good people at BenQ got in touch with me this week to see if I'd like to try their new eReader Lamp. I wasn't really sure what that meant, but of course said I'd love to! What it actually is, is a table lamp that sits on top of your monitor. 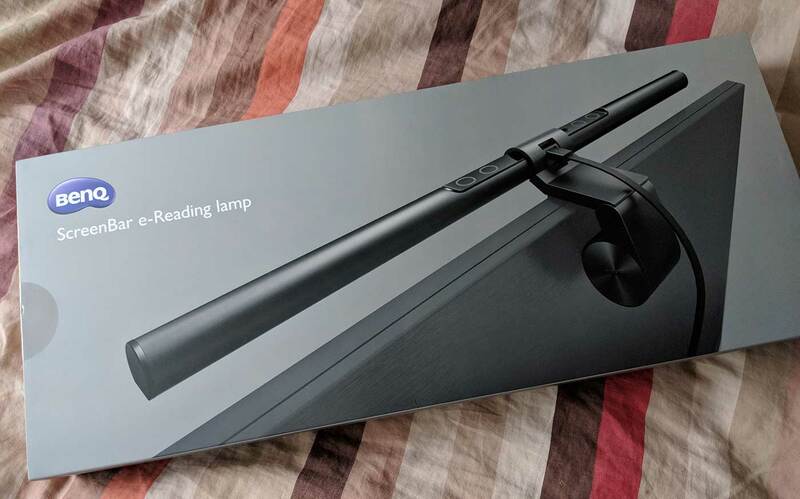 It's not quite as simple as that though, the BenQ ScreenBar eReader Lamp has five important features to make it stand out from other lamps.